Which one doesn’t belong …. for stats? If you haven’t heard of the activity Which one doesn’t belong? (WODB), it involves showing students four “things” and asking them to describe/argue which one doesn’t belong. There are heaps of examples of Which one doesn’t belong? in action for math(s) on the web, Twitter, and even in a book. From what I’ve seen, for math(s) I think the activity is pretty cool. In terms of whether WODB works for stats, however, I’m not so sure. Perhaps for definitions, facts, static pieces of knowledge it could work (? 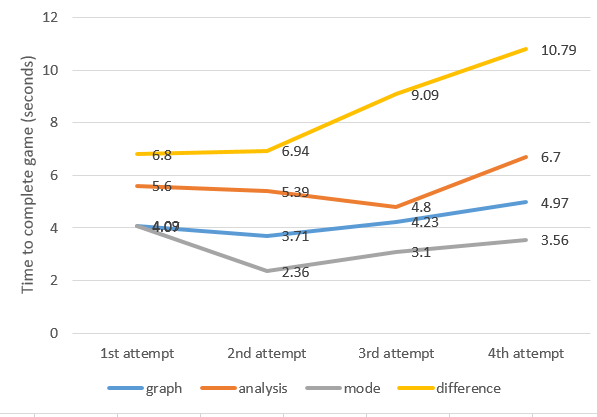 ), but in terms of making comparisons involving data and its various representations (including graphs/displays), I need more convincing. There’s something different between comparing properties of shapes (for example), which remain fixed, and comparing data about something/someone, which could vary. For example, What cat doesn’t belong? for the four “stats cats” data cards shown below. Classic is the only cat that uses a cat door. I could argue many different cases for which cat (or photo) does not belong. This is all cool, but doesn’t feel like statistics to me. Statistics is all about using data to make decisions in the face of uncertainty, by appreciating different sources of variation and considering how to deal with these. 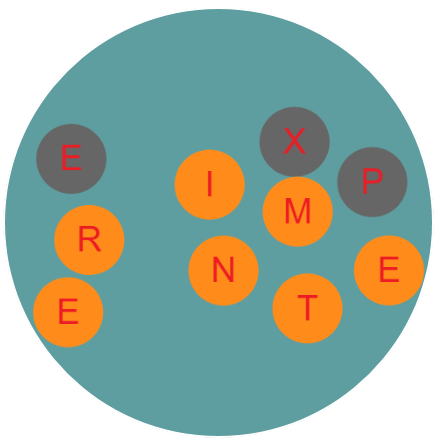 In particular, inferential reasoning involves going beyond the data at hand, thinking about generalisability, considering the quality and quantity of data available, and appreciating/communicating the possibility of being wrong not matter how “right” the methodology. Questions I have when looking at these stats cats data cards, which are interesting to me are: I wonder …. How many syllables do cats’ names have? Do most cats have two syllable names? Is Elliot (my cat!) an unusual name for this reason? Do I spend too much on cat food ($NZD30 per week)? Or maybe black cats are more expensive to feed? I won’t be able to get definitive answers to these questions, but by collecting more data and investigating these questions using statistical methods I can get a better understanding of what could be plausible answers. 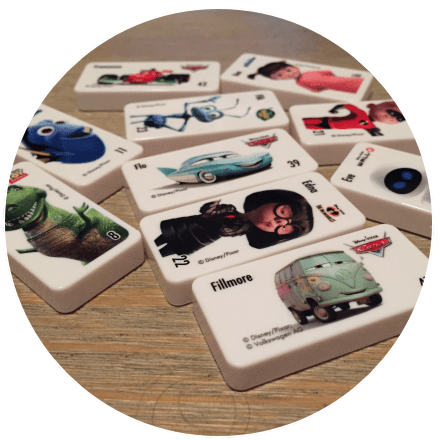 This post provides some teaching examples for using an online probability simulation tool. It’s a supplement to the workshop I offered for the NZAMT 2015 conference. 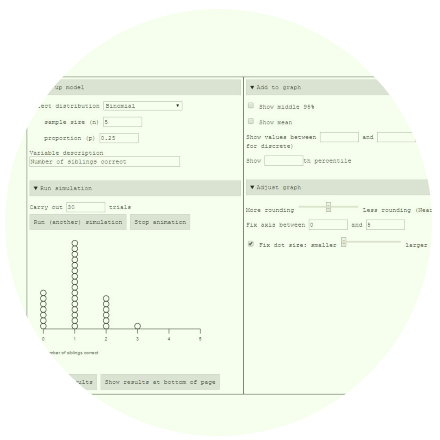 I recently developed a very basic online probability simulation tool . 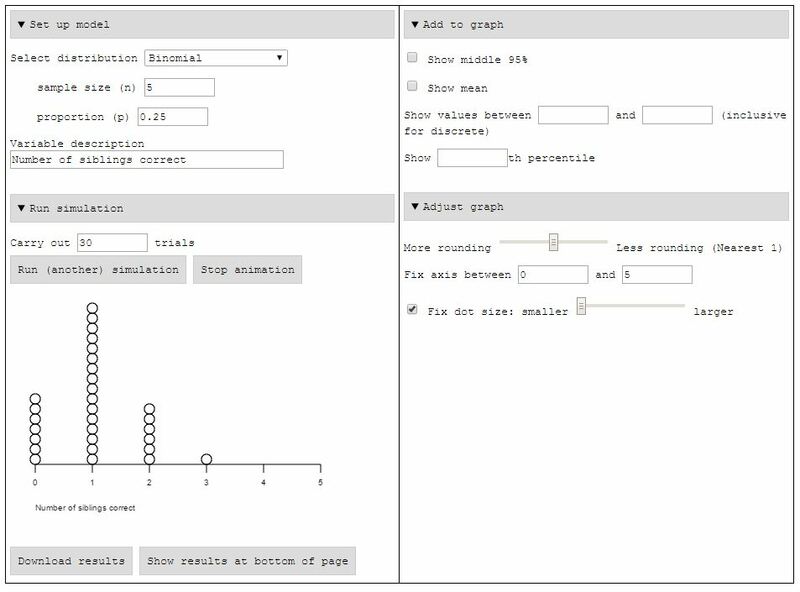 I wanted a simulation tool that would run online without using applets or flash (tablet compatible). I also wanted to be able to animate repeated simulations in a loop – in the past to get this effect, I had to either make animated GIFs or set up slides in Powerpoint to transition automatically. I did a quick search for online simulation tools and couldn’t find what I wanted so I adapted some code I had written previously to get what I wanted. It’s very much designed “fit for a specific purpose” (more about that in the part 2) so I know it has lots of limitations 🙂 But what I like about the feature being demonstrated above is that it will keep running automatically, freeing me up to ask the students questions about what they are seeing and why they are seeing this. One of the activities I presented in the workshop involved teachers trying to work out who my siblings were based on photos. I presented five sets of four photos. Within each set, one photo was of one of my siblings, the rest were photos of other non-related people. In the workshop there around 30 teachers present. 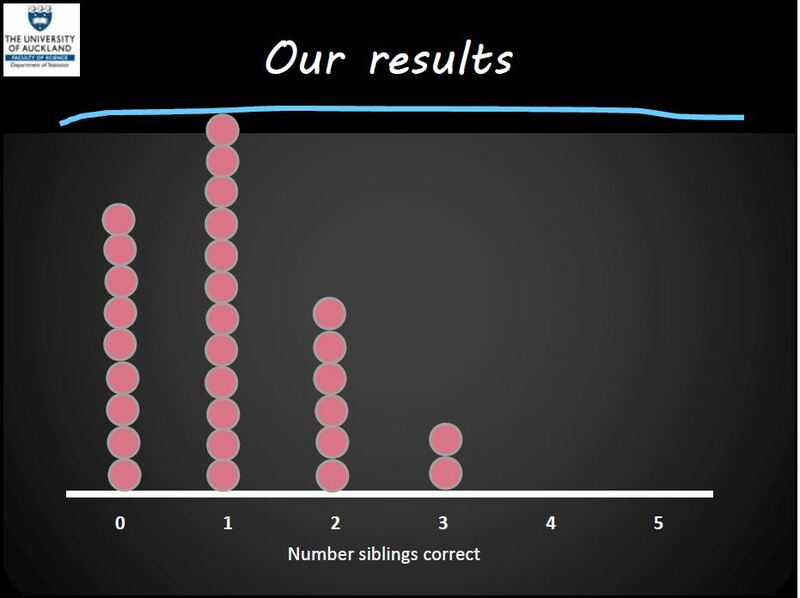 The basic idea (with lots of assumptions) is that distribution for the number of correct selections IF teachers were guessing can be modelled by a binomial distribution with n = 5 and p = 0.25. 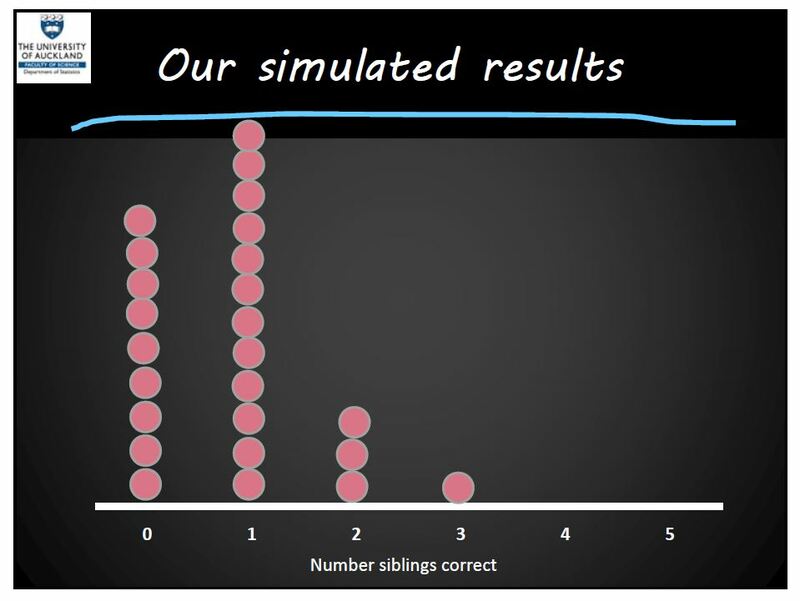 To build up a simulated distribution based on guessing, each teacher then used five different hands-on simulations to make new sibling selections for each set of photos (see the resources link at the end of this post). I then created another dot plot from these simulated selections and asked teachers to compare the features of the two plots e.g. centre, spread, shape, unusual.